ISKO I-SKOOL™ DENIM AWARD has revealed the shortlisted students from participating Chinese academies, who will take part in the finals in July. 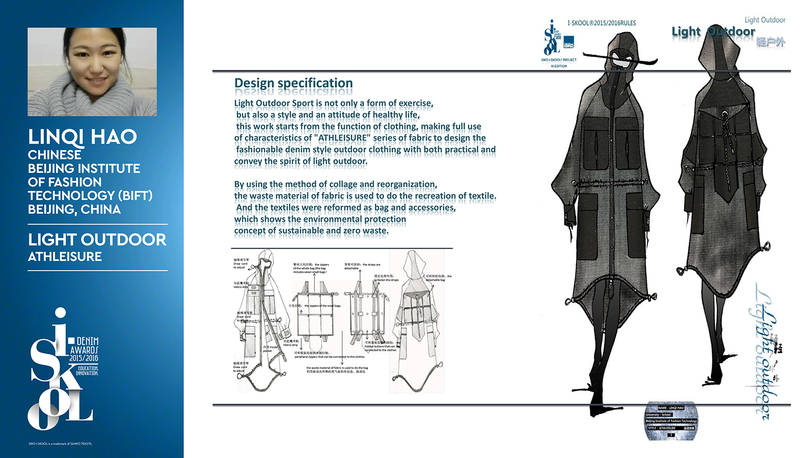 The two finalists come from two of the most prestigious design academies in China; the Beijing Institute of Fashion Technology (BIFT) and the Academy of Art & Design, Tsinghua University. 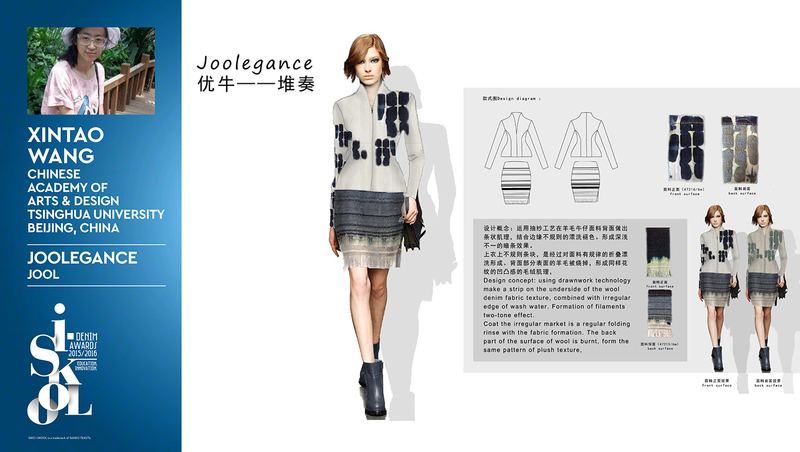 According to the contest rules they had to choose a specific “mood” for their projects, and one chose “Athleisure” while the other chose “Jool”. With the selection of the Chinese students the project shortlist phase is officially concluded. Now all 20 candidates coming from the best fashion and design academies worldwide will finalize their projects that will be presented during the finals, to be held at Villa Corner della Regina, a stunning historical palace in Treviso (Italy), on July 15th.